Savannah is a beautiful city by the sea with so much to do and take in. 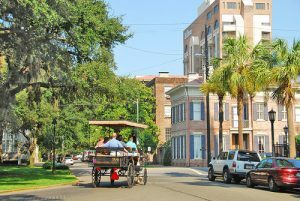 From the Historic District to the islands, beaches, and Lowcountry landscape, to the shopping and restaurants, Savannah has much to offer. 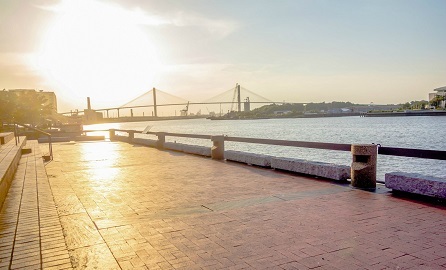 Here are just a few key spots to remember when you are sightseeing in Savannah. 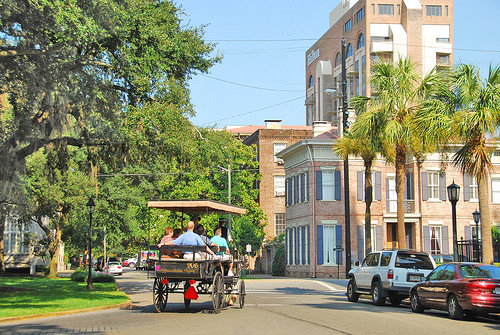 Savannah’s Historic District is what keeps many visitors coming. Well-preserved antebellum architecture lines the streets, and recent visitors recommend the various walking tours. Individual tours are also available for some of the more prominent properties, like the Juliette Gordon Low House, preserved in honor of the Girl Scouts’ founder. Fans of John Berendt’s non-fiction book, Midnight in the Garden of Good and Evil, can tour the Mercer-Williams House, located on Whitaker Street in the southern portion of the Historic District. Outside of the Historic District, many suggest visiting the city’s historical forts, including the Old Fort Jackson east of the city and Fort McAllister to the southwest. You may also enjoy a free tour of the Bonaventure Cemetery, located east of the city, where you can find many recognizable landmarks from Berendt’s Midnight. If you’re looking for the famous Bird Girl statue featured on the book’s cover, however, go visit the Telfair Museum of Art in the Historic District. Savannah is located on the coast in an area known as the Lowcountry. There are moss draped oak trees, flowers in bloom, and of course the beautiful Atlantic Ocean. There are several places to enjoy the natural beauty of Savannah. For instance, in the city itself is the enchanting Forsythe park, located on the southern end of city. It has an iconic fountain and offers some great walking paths with beautiful Spanish moss draped oaks. To see the beach, you will want to explore the islands. Skidaway Island is known for its golf courses. Isle of Hope is a great place to walk among the quaint cottages and homes. There are other islands near Savannah that are only accessible by boat and do not offer accommodations. These are great places to explore the unspoiled beauty of the area. River Street has everything to offer a shopper from crafts to clothes. The City Market is full of eclectic shops, restaurants, art galleries, sidewalk cafes and even offers horse and carriage rides. For those who desire more expensive boutiques, you will want to stroll down Broughton Street. You can find all sorts of unique and special items in Savannah. So, as you see, there is something for everyone when you are sightseeing in Savannah! 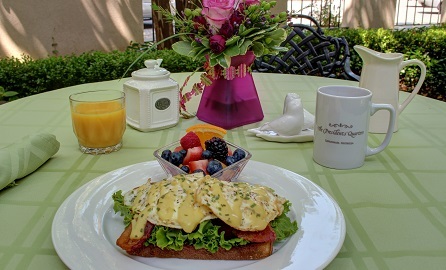 As for accommodations, a bed and breakfast in the heart of the historic district is a destination to see in itself! 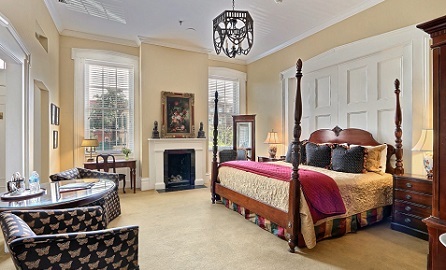 Try President’s Quarters Inn the next time you are staying in Savannah. 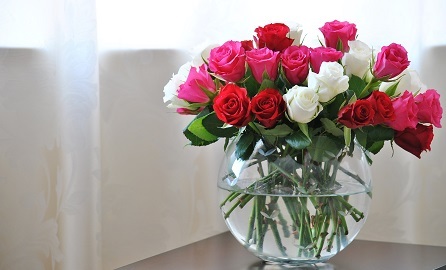 The level of pampering and the quality of this B & B will have you coming regularly to this fair city! Check here today for availability!